As a working makeup artist, kit hygiene is an essential part of my everyday work. I wrote a blog post about hygiene a few years ago (right here), but back then it was pretty much only makeup artists that used disposable mascara spoolies. To buy them, we had to go to pro-only stores. Nowadays, you can buy them everywhere (ebay, Boots, Superdrug, heck, even Primark) and the quality, especially the quality of the silicone ones, have improved so much over that period. 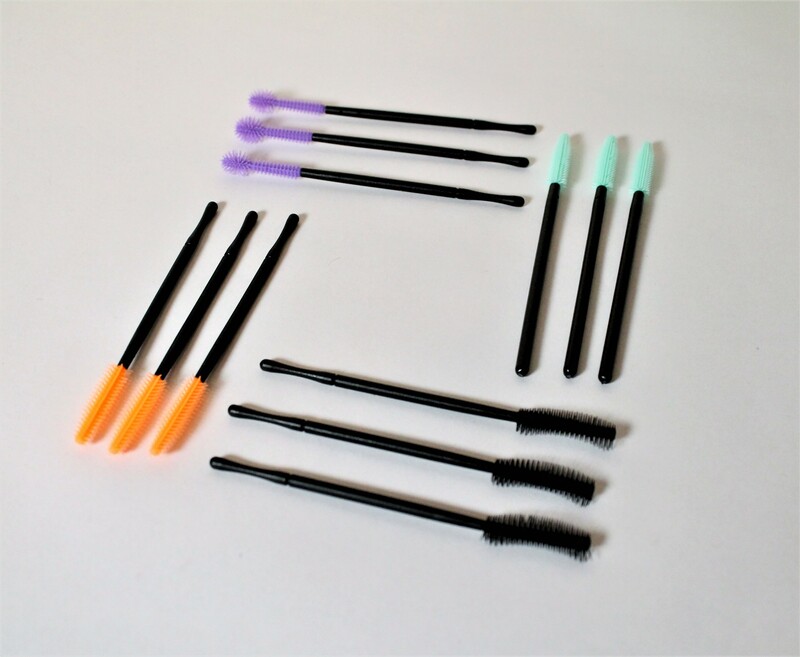 Personally I prefer silicone mascara wands but a lot of people will prefer the traditional fluffy bristle wands, and that’s okay. Use whichever feels most natural for you. I like to keep a selection of different heads, so that I can match them to the my clients needs or desired look. 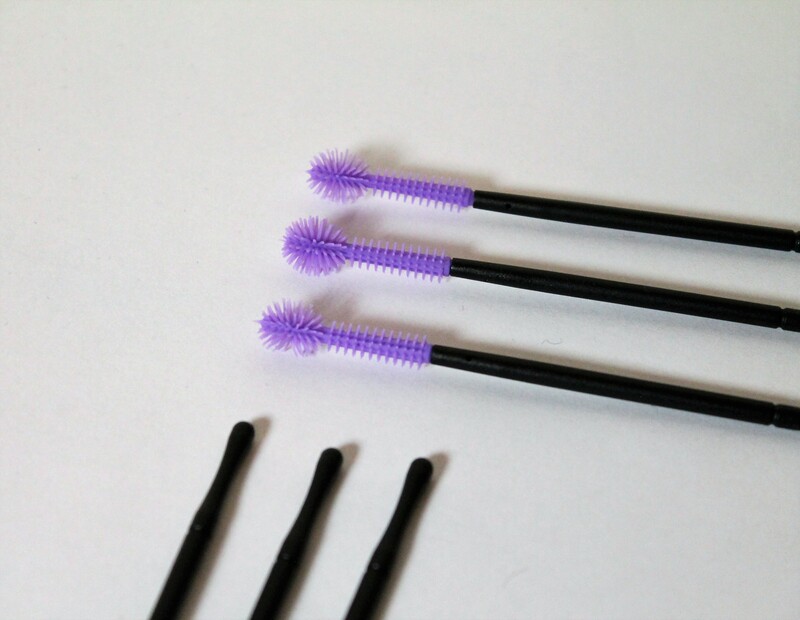 Spherical mascara wands are great for coating sparse or fine lashes. You can use it on it’s side to coat the length of the lash in one coat and go over for a second coat holding the wand straight up/ perpendicular and really work it onto the sparser lashes, as well as the lower lashes. 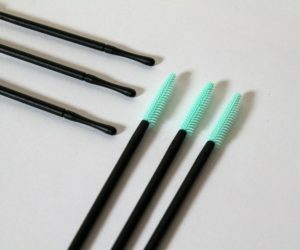 These curved head wands are great for separating and coating the lashes evenly, and leaving a nicely defined lash curl. 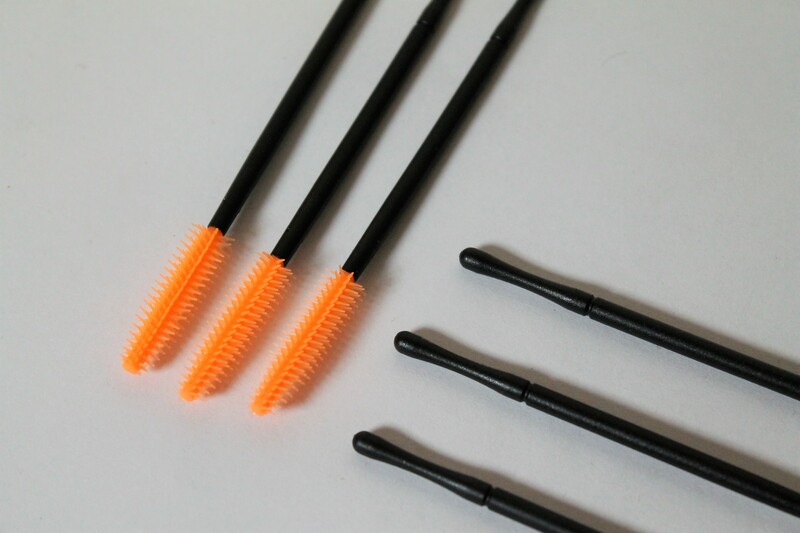 I place them at the base of the lash and zigzag up the lashes, fully coating each lash in one coat. These straight mascara wands have short bristles and so are great on shorter lashes, or lashes with a tight curl. They’ll enable you to get very close to he base of the lash and coat the lashes without transferring or smudging onto the lid itself. All of the mascara wands below were from eBay and cost me approx £2-3 for 50 wands, so chap as chips. It’s even easier these days to be hygienic. If you’re concerned about the environmental impact of disposable mascara spoolies, then consider recycling them and donating washed/ clean wands on animals, via a charity such as Wands for Wildlife. Let’s hear from you guys on this, Hit me up on the socials! 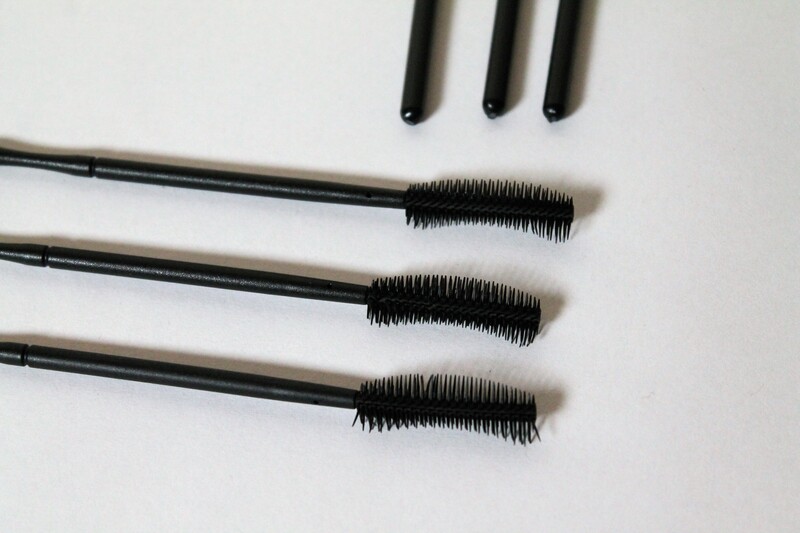 Leave a reply on "Makeup artist tips: disposable mascara spoolies"